Lavas Magmas is the ambient/noise project of Luis Gonzalez based out of Portland, OR. From what I’ve encountered many of his works include a video element including his live sets. I was lucky enough to catch him on his tour with Regosphere and The Dios Project where he put on a brilliant performance utilizing video projections, metal sculptures, electronics, and guitar. Black Friday is a DVDR containing a studio version of the live set with the visuals included. The sound on here is phenomenal. Swaying, heavy drones provide a backdrop for crunchy chunks of metal noise, echoing, scraping, and bending to form an unholy cacophony of industrial sounds. The drones are harmonic and at times even somewhat emotional, somewhat reminding me of Inade but more lo-fi and D.I.Y. in style. The track is roughly 15 minutes and works perfectly with the video elements to form a foreboding look into the human condition. The visuals seems to consist of manipulated stock footage, field recordings, obscure film clips, security camera/military camera footage, all tastefully composed and edited to form an esoteric presentation. Things I’ve never seen before like shapes filled with different video footage changing color and form are what really brings the video into it’s own. There are just a few times where it seems like a canned effect is being used here and there, but that seems to be used sparingly so as to not take away from the more effective passages. The sound works well with the video, sometimes seeming to follow the on-screen events, sometimes flowing on it’s own which helps avoid obvious references to symbolism or bluntness in concept of any kind. I am generally not a fan of “music videos” but this is far from that. There’s no live or canned footage of the artist himself used in this video thankfully, this is more about the concept and emotional effectiveness of both sound and video. Both are top-notch and the DVD is packaged tastefully in a D.I.Y. 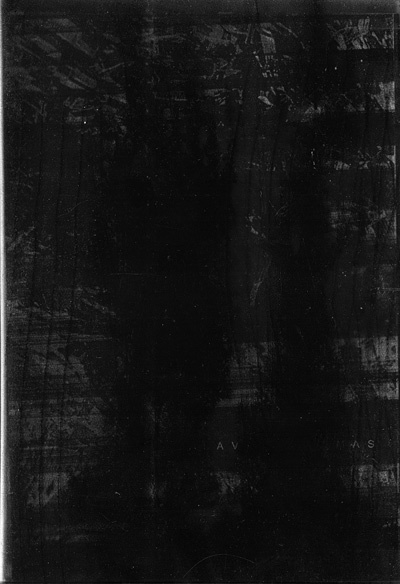 manner with bleak, black photocopied covers and inserts. Great work from this underrated artist.